Customer Relationship Management, Advertising and Consumer Behaviour. He consults in the area of advertising effectiveness and branding for various industries: fast-moving consumer goods, pharmaceuticals, telecommunications and finance. 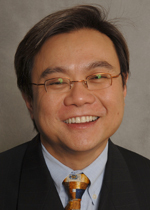 Prior to joining the Department of Marketing and Management in June 2007, Lawrence was a faculty member at the Macquarie Graduate School of Management (MGSM); and before that, he worked for many years as a senior marketing research consultant and manager. Ang, L. and Buttle, F. Complaint-handling processes and organisational benefits: an ISO 10002-based investigation, Journal of Marketing Management (in press). Ang, L. Community Relationship Management and Social Media, Journal of Database Marketing and Customer Strategy Management (in press). Kokofingas, C.and Ang, L. Product recall, brand equity and future choice, Journal of Marketing Management (in press). Ang, L and Buttle F. (2009) Customer development strategies for exceeding expectations. An exploratory study. Journal of Database Marketing and Customer Management Strategy, 16 (4), pp. 267-275. Ang, L. and Dubelaar, C. (2007) Explaining Celebrity Match-Up: Co-Activation Theory of Dominant Support. In Margaret Craig-Lees, Gary Gregory and Teresa Davis (Eds), Advances in Consumer Research - Asia Pacific, Vol. 7, pp.377-383. Buttle, F. Ang, L and Iriana, R. (2006) Sales force automation, review, critique and research agenda, International Journal of Management Reviews, 8 (4), pp. 213-231. Ang, L and Buttle, F. (2006) CRM software applications and business performance, Journal of Database Marketing and Customer Management Strategy, 14 (1), pp. 4 -16. Occasional reviewer for European Journal of Marketing, Journal of Economics and Psychology, Journal of Marketing Management, Australian Journal of Management, Australasian Marketing Journal. Occasional external examiner of doctoral theses. His current areas of research are competencies in customer relationship management, complaints handling, attention and creativity in advertising, neuromarketing and non-conscious effects of marketing stimuli, consumption and loyalty, social comparison, brand misconduct and product recall, brand valuation, personality and celebrity endorsement, materialism. Last Updated: 2014-05-12 10:26:49 by Peter Nolland.